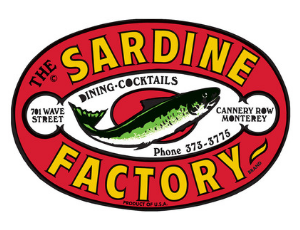 The award-winning Sardine Factory restaurant on historic Cannery Row turns 50 on October 2, 2018. The golden anniversary marks a significant milestone for owners Ted Balestreri and Bert Cutino and a significant achievement for a restaurant that is known around the world. For 50 years, the Sardine Factory has hosted celebrities, movie stars, sports legends and public figures from all over the world. Stars such as Clint Eastwood, Kenny G, Ray Romano, Phil Mickelson, Maury Povich, Connie Chung, Jim Nantz, and Chef Masaharu Morimoto, best known as an Iron Chef have dined at the restaurant. In 2012, Balestreri and Cutino were honored to welcome Prince Albert of Monaco for a special luncheon. In 1971 Clint Eastwood directorial debut film, Play Misty for Me, filmed in the Sardine Factory. Television filming at the restaurant also included a segment on Rachel Ray’s Food Network show, Tasty Travels with Rachael Ray, and Chef Bert Cutino appeared as one of the judges on the Food Network special, Top of the Class, with Guy Fieri. Once an old sardine cannery worker cafeteria it began with only 72 seats and has since grown to a seating capacity of 250. The restaurant has always been known for its superior service, outstanding food and one of the premiere wine programs in the nation–known for its embrace of California wines long before it was popular. A restaurant that has grown from humble beginnings is today one of the most successful widely recognized establishments in the country. 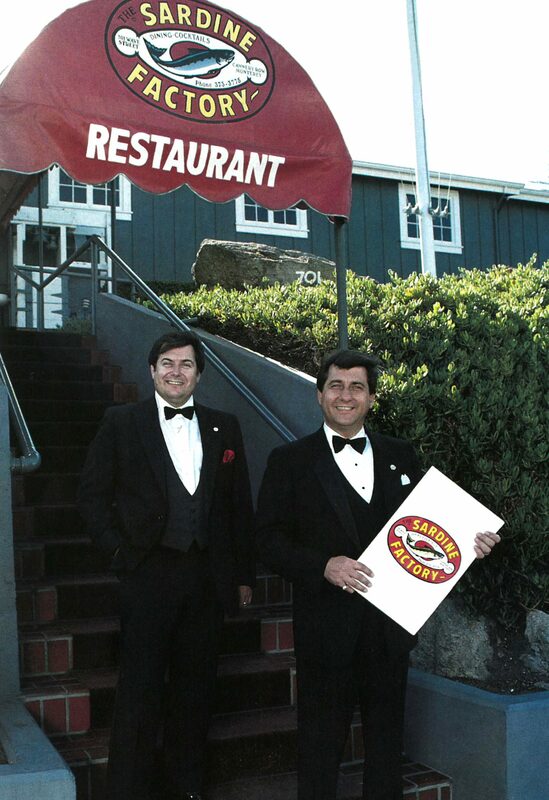 Over the last 50 years, the Sardine Factory has received virtually every award possible in the industry, including the Distinguished Restaurants of North America (DiRoNA) Award, the Wine Spectator’s Best of Award of Excellence and Grand Award and Restaurant Hospitality’s Best Wine List in America. The restaurant was also named the Best Restaurant in Monterey County Over Ten Years Old by Monterey County Weekly readers, voted one of the Top Ten Most Romantic Restaurants on the Central Coast by Open Table and listed as one of the Top Ten Seafood Restaurants in Carmel/Monterey by Gayot.com, in addition to many other honors. This month Wine Spectator listed the Sardine Factory as One of the 12 Seafood Restaurants to Catch Great Wine in the United States. The restaurant was recently voted Best Restaurant in Monterey by the readers of the Carmel Pine Cone and by the readers of the Monterey County Herald, the county’s largest daily newspaper. The Sardine Factory is located at 701 Wave Street in Monterey, California. For more information visit www.sardinefactory.com or call (831) 373-3775.